New car sales in Hungary are up a very healthy 20% year-on-year in April to 5,568 registrations, bringing the year-to-date total to 21,201 units. 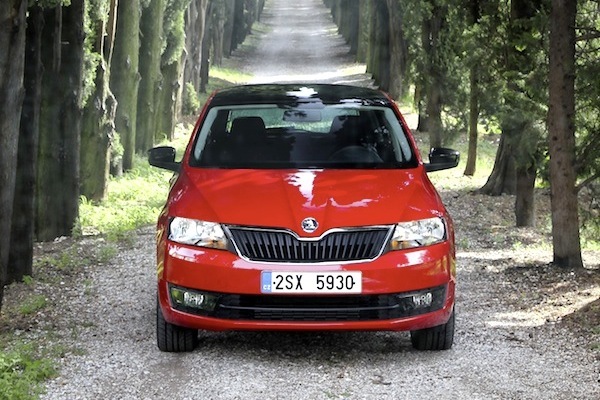 The Skoda Octavia keeps the lead of the models sales charts by far with 340 sales and 6.1% share, two percentage points above the Ford Focus at 4.1% and Opel Astra at 3.7%, also in this order year-to-date. The VW Golf is up 4 spots on March to #4 while the Skoda Rapid makes a beautiful appearance inside the Top 10 at #7, potentially thanks to the addition of the Spaceback hatch variant. Finally, notice the Renault Fluence pointing its bonnet at #10. Full April 2014 Top 10 models and brands Ranking Table below.